In 2018, the Irish Government announced a long term policy initiative called Project Ireland 2040. According to the Taoiseach, Leo Varadkar, ‘the objective of Project Ireland is to build a comprehensive social economic and cultural infrastructure’. The Project is designed to prepare Ireland for the one million additional people that the government expects to be living in Ireland by 2040 and the 660,000 additional people expected to enter the country’s workforce. Though the Project does aim to improve multiple aspects of life in Ireland, including public transport, health and renewable energy sources, one of the main areas of focus is Business, Enterprise and Innovation. A key factor in Ireland’s ability to attract research and development focused companies, has been its highly skilled and motivated workforce. This is an area Project 2040 will look to improve upon by investing in and creating Centres for Research Training. The purpose of these centres is to further upskill our postgraduate students in specific areas such as machine learning and artificial intelligence. The centres are designed to develop student’s skills in the fields of research and networking with a focus on developing strong connections with industrial collaborators. By promoting innovation and upskilling, the Government believes that Project 2040 will result in the creation of new technology that will alter markets and change the way we work and live. To aid in the development of these technologies, Project 2040 has created a €500 million Disruptive Technologies Innovation Fund (DTIF). In addition to Ireland’s long standing Research and Development Tax Credit, the DTIF will promote collaboration between our developing research base and domestic / international industry. The fund is aimed at keeping Ireland ahead of the competition and will focus on priority research areas such as robotics, artificial intelligence, smart manufacturing and sustainable food production. 27 projects have already been approved by the DTIF board and will receive over €70 million of funding between 2018 and 2021. One of the more immediate-term goals of Project Ireland 2040 is to ensure Ireland is business ready for Britain’s impending departure from the European Union. As part of this initiative the IDA is continuing to enhance its facilities in the boarder regions, including The Landing Space, a ‘fast landing property solution’ which opened in Sligo during November 2018 and the planned creation of a new facility in Dundalk within the next two years. This initiative is already reaping some rewards and in March 2019, The IDA confirmed that ‘70 individual investments related to Brexit, with over 5000 associated jobs, have been approved since the UK’s EU referendum in June 2016’. Project 2040 is the Irish Government’s plan of action, which sets out some of the key steps the country will take over the next 20 years to ensure that Ireland remains one of the most successful countries in the world at attracting investment. 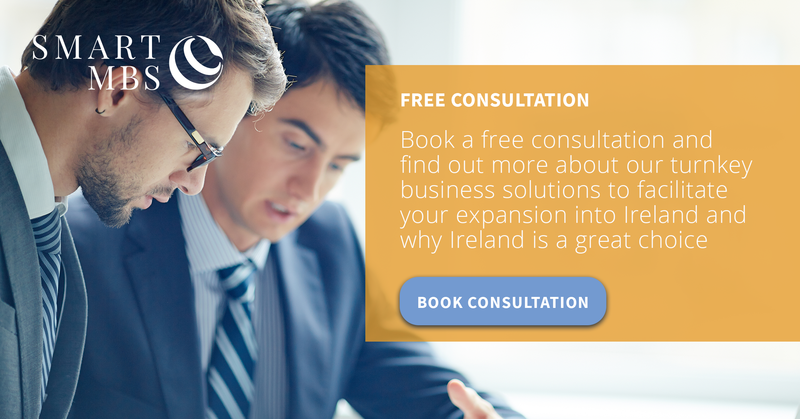 If you require assistance in relation to opening and operating a business in Ireland, please contact us for a FREE consultancy.